The Brain Tumour Warrior Fund was founded by Angela, and named after her blog #braintumourwarrior. 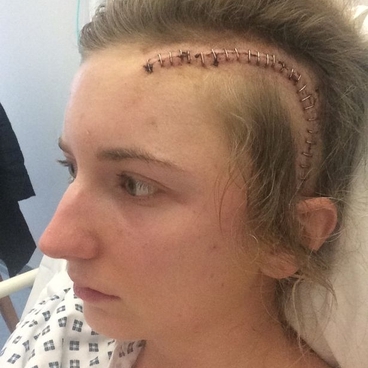 Angela is living with a low grade astrocytoma and wants to raise funds to help others affected by brain tumours now and in the future. From 1950s afternoon teas, to fashion shows, to Natalie skydiving from a plane with her 79-year-old aunt, the ladies are on a mission to raise more than £20,000 to support the charity's aim of funding research, awareness and support to to save lives and improve quality of life. In December 2015 Angela underwent a craniotomy at the RVI hospital in Newcastle to remove as much of her brain tumour as possible. While recovering from her surgery, the hospital's neurological nurse specialists team encouraged her to attend her local Maggie's Centre and join the young people's networking group; set up to encourage and support young people as they undergo treatment, deal with side effects or get back into education, training or employment following diagnosis. It was at the Maggie's Centre group that Angela met Natalie, who was undergoing surgery, radiotherapy and chemotherapy for an incurable grade 3 oligodendroglioma. The pair realised they were the same age, lived in neighbouring Northumberland towns and even had mutual friends. Angela and Natalie feature on BBC Look North (North East and Cumbria) as part of brain tumour awareness month, March 2017. 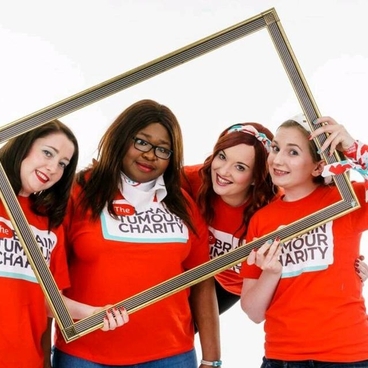 United by a determination to improve outcomes for those diagnosed with a brain tumour, Angela and Natalie's friendship blossomed into a fighting force, raising awareness of the HeadSmart campaign for earlier diagnosis and raising funds through events and sponsorship in their home county of Northumberland.